For years I used KeePass to manage my ever-growing number of passwords. It works brilliantly, especially for a single user. 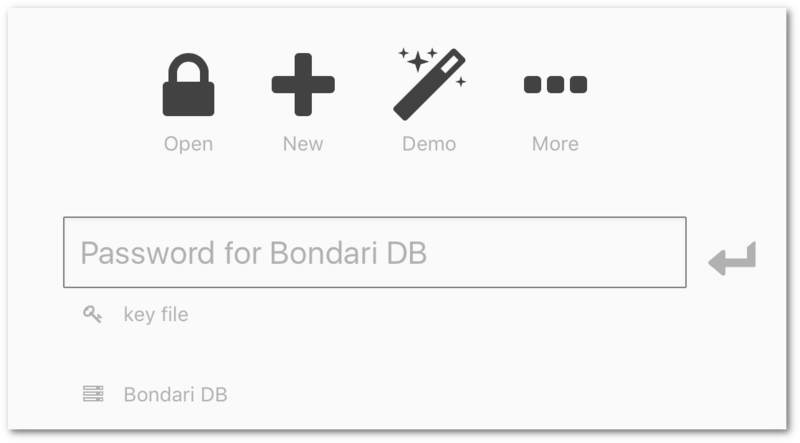 Just stick the database on Dropbox, Google Drive, or use Syncthing, and voila, you can access your password database everywhere. Toss in something like Keepass2Android, and you have mobile access as well, all for free. This setup worked fine for years. Indeed, I recommend it to anyone in a single-user situation. But what about a scenario wherein two (or more) people want to access/change the database simultaneously? If you're just using something like Dropbox to sync the database, then you will likely end up with file conflicts and lost data. Unacceptable. Sure, there are solutions like LastPass, but I have an inherent mistrust of a closed-source, cloud-based password manager. Bitwarden is better since it's open source (and you can host the stack yourself), but since I'm already familiar with KeePass, I'm not ready to give up on that ecosystem yet. I want a setup where both my wife and I can access our shared KeePass database simultaneously on multiple computers, plus on a couple of Android phones, with bonus points for having a self-hosted, password-protected web interface in case we have neither our own computers nor our phones with us. Basically, can we spin our own version of LastPass / Bitwarden, but using KeePass-related tools? You have to run KeePass v2, which is fine on Windows, but less-elegant on Linux and macOS due to the dependency on mono. KeePassXC doesn't have plugins (yet? ), so the syncing options are trickier. There's no web interface available. Boo! Now here's a fine thing. We can fix those two sFTP-related problems by using WebDAV, so let's get going! I'm using Apache on CentOS for my web server, so if you want to use nginx, lighttpd, or whatever, you'll need to make adjustments accordingly. You will first need to set up a new VirtualHost as well as HTTPS. Doing so is beyond the scope of this article, but you can start by searching for apache virtualhost setup, and then look up Let's Encrypt and certbot for free TLS certificates. Once that's ready, it's time to set up HTTP authentication, since we don't want just anyone accessing our password database, do we? I'm storing my info in a file called .htpasswd, which is pretty common. You'll want to change user-name in the above example to whatever username you want. And yes, it will prompt you to set whatever password you want, so try to remember it, eh? Now you can add something like the following to your VirtualHosts file, so that whoever wants to access the site must first pass authentication. I'm calling mine KeeWeb below since that's what I plan to host in the root directory. Now that the Apache modules are loaded, let's make a folder that we want to access via WebDAV. Inside the publicly accessible directory for your site, let's make a folder called webdav and set the appropriate permissions. Done! You can test your WebDAV setup in a number of ways. If you're on macOS, press Command+K and enter https://example.com/webav as the server. If you're on Linux, try entering webdavs://example.com/webdav into Dolphin, Nautilus, or whatever file manager you have. 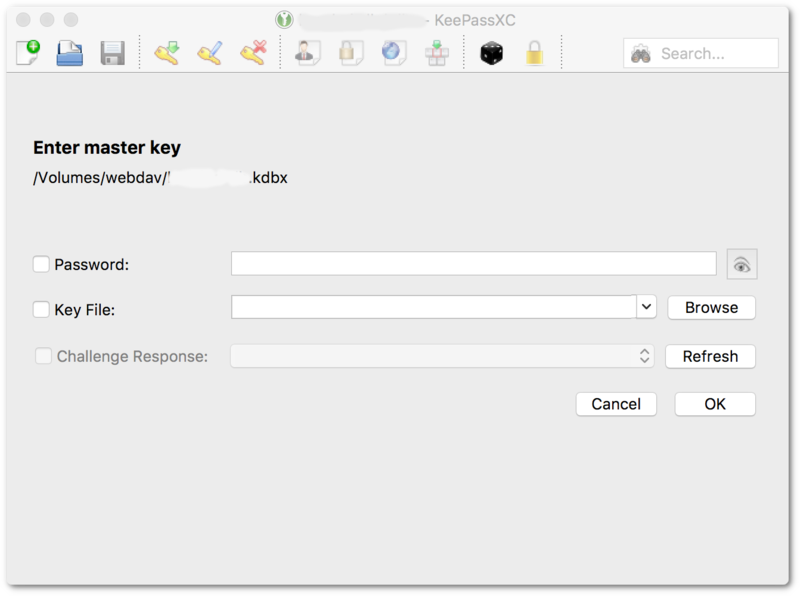 Try uploading your KeePass database to the WebDAV folder. Make sure you can both upload and delete files from that space. If you want to try using KeePass v2, you can go to Open URL and specify https://example.com/webdav/your-keepass-db.kdbx as the file, and you should have full read/write access. All this is well and good, but we still don't have our web interface (in case we don't have access to either our personal computer or a smartphone). That's easy to fix. KeeWeb to the rescue! KeeWeb will now find the configuration file if you load the full URL (e.g. https://example.com/keeweb/?config=/config.json), but that's way too much to type on a regular basis. Instead, let's set a redirect, either in your VirtualHosts file or in a file called .htaccess in your web root. Now you can browse to your site's root. Once you pass the HTTP authentication, you should see KeeWeb's interface, ready to manage the passwords in your specified database. Full sync ahead! On a personal computer, you can mount your WebDAV folder and load your database into KeePass (or KeePassXC, for that matter). You can also load your database on an Android phone using Keepass2Android (use the WebDAV option, obviously). I don't have any iOS devices, so I can't offer much help here. It looks like KyPass 4 supports WebDAV. MiniKeePass is popular, but I don't know about WebDAV support. And there we have it: our own personal LastPass running all open-source software, on our own server, and with no subscription fees. You (and other trusted users) can open (and edit!) the password database in multiple locations, simultaneously. You can use software like KeePassXC, mobile devices, and there's even a web interface available when you need it. And what about security? Isn't this WebDAV setup less secure than just keeping the database in Dropbox? Well, probably. A nefarious character would have to first break through your HTTP authentication (you used a strong password, didn't you?) -- OR find a vulnerability in Apache. THEN that shady character would still have to break through the encryption on your KeePass database (you used a really strong password here, didn't you? And maybe a key file?). Point is, you're still pretty darn secure. Add in the fact that whatever URL you chose for your WebDAV access is not likely to become much of a target for people attempting to break in (especially compared to LastPass! ), and I wouldn't lose any sleep over it. You should also keep regular backups of your database, especially for offline usage.